Commenting on other people’s blogs is a great way to network. It allows you to meet people in your field and promote your own site or blog. However, you can’t go into commenting with self-promotion solely in mind. As a matter of fact, commenting is actually a fine art. 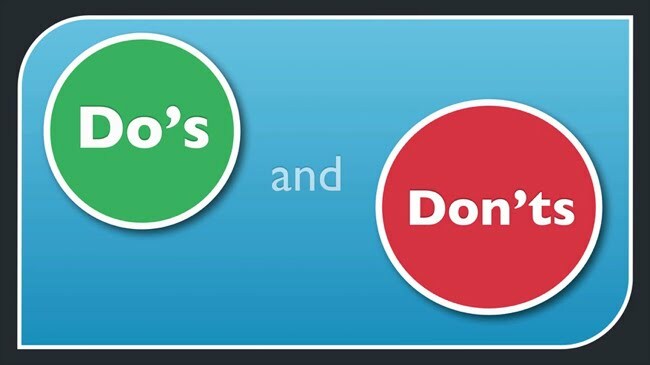 Here are the dos and don’ts that will help you comment the right way. Remember, the owner of a blog has the right to her own opinion. That said, you’re likely going to disagree with blog posts at times. In fact, sometimes they might downright piss you off. Which is fine. However, when commenting on the post, don’t get personal. If you resort to childish name calling or personal attacks, any point you were trying to make will get lost in the fact that you’re just plain immature. If you disagree, explain why. For example, say someone makes a post denouncing a law that recently passed. It’s not enough for you to post a comment that says “you’re wrong.” You need to provide some explanation. Something like “I think you’re wrong and here’s why. First, blah blah blah.” An argument with supporting examples is always better than an argument that stands alone. Nothing says “hey yeah whatever just click on my link” like the two word “good post!” comment. Sure you might be commenting on others’ blogs in order to make a name for yourself and eventually drum up your own business, but can we be a bit less obvious please? If you’re going to respond on a blog, you need to earn your link. A good rule of thumb is that if someone reads your comment, they should find some sort of proof in it that you actually read the blog entry. Did you recently read an article that coincides perfectly with the post you’re about to comment on? Or maybe another article that would help you dismantle the bloggers line of reasoning? Either way, link it in your comment. You’ll be helping other readers out and building your own credibility simultaneously. Knowing that linking from your keywords is a valuable SEO strategy, some people will type their keywords in the name field rather than their actual name. Guess what this screams? SPAM! Use your name. You’ll still get your link and you won’t look like a spammer while doing it. CommentLuv is a blog plug-in that’s gaining popularity. In fact, they just celebrated their 250 thousandth download. You should be 250,001. You know why? Well when you use CommentLuv, links to your recent posts show up in your comments. That means other commenters will see your post’s title and be tempted to click over to your blog. And it’s perfectly legit. What other pointers would you offer for commenting on other people’s blogs? Just kidding. I have found that finding blogs that a similar to mine (therefore have similar readers) are the best place to comment. for instance, my blog is sort of an observational humor blog so it doesn’t make a lot of sense for me to target gardening blogs for commenting. And comments that are insightful are certainly going to generate more click throughs then something generic. Like you mentioned, be sure you’re comment shows that you actually read the post!